Total Care for Women is affiiliated with Rush Health Systems in Meridian, Ms.
Dr. James J. Purdy, founder of Total Care for Women, has practiced in Meridian. Ms for greater than 3 decades. He was the founder of the modern Rush Ob/Gyn department at Rush Hospital and Rush Medical Group Ob/Gyn department. Dr. Purdy has fostered innovations and advancement in the female medical services including first to introduce minimally invasive laparoscopic vaginal hysterectomy in 1990 to Meridian, Mississippi and first to perform da Vinci S hysterectomy in East Central Mississippi on 12/9/2008. Dr. Purdy is currently a physician and educator/instructor. 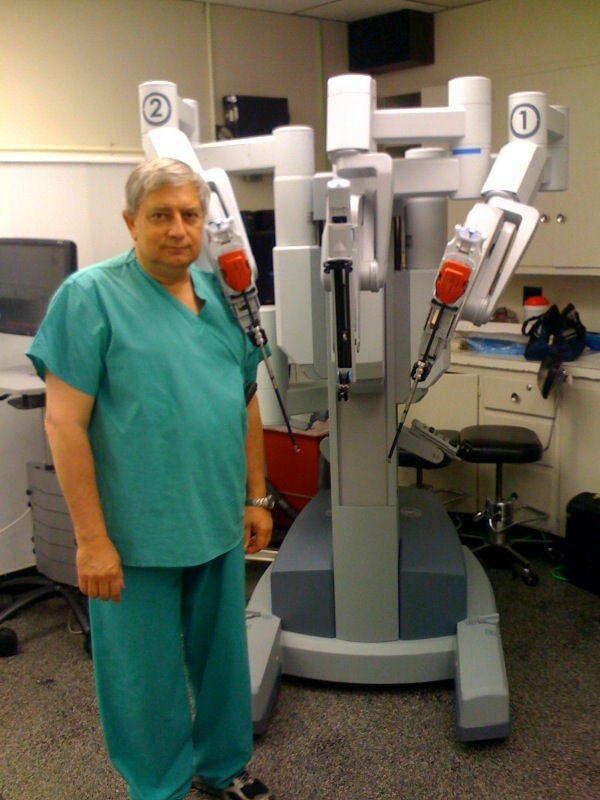 He travels throughout the United States to teach the skills and certify doctors in da Vinci robotic gynecologic surgery under contract with da Vinci � Intuitve Surgical Systems, Inc. He has held in the past several teaching positions in various medical colleges such as the UMMC in Jackson, Mississippi and College of Osteopathic Medicine in Louisvile, West Virginia. His most recent teaching position was proctor on site for Western University of Michigan school of Physician Assistant program - voted best procotor of the year 2016. Total Care for Women provides quality personal medical care in an office setting as well as office based Ob/Gyn procedures that are minimally invasive. Obstetrical outpatient and inpatient services are provided at the modern Rush hospital facility. Gynecological services are also performed at Rush outpatient department and Rush inpatient department. Dr. James Purdy shares call arrangements with Rush affiliated physicians at all times 24/7. The theme is Rush together for complete uninterrupted care of the patient. The obstetrical patient's neonate is cared for by Rush neonatal level two services. Dr. Purdy currently provides obstetical care utill the end of the first trimester; subsequently care is transfered to another physician at Rush. After 45 years of complete obstetrical care, Dr. Purdy currently has limited the practice to the first trimester of pregnancy. He remains completely active in gyn and urogyn care both in outpatient care and inpatient care with advanced robotic surgical services. Dr. Purdy has no plans for retiring compared to many of his peers. Total Care for Women utilizes electronic medical record system by Greenway. Dr. Purdy has used electronic medical records since 2002. Dr. James Purdy is on staff at Rush Hospital. He is affiliated with University of Mississippi Medical Center in Jackson, Mississippi and has an appointment on clinical teaching staff. Dr. Purdy refers high risk obstetrical patient care and evalaution to noted perinataolgists in Jackson, Mississippi. A secondary office for Dr. Purdy is located in Philadelphia, Mississippi. Dr. James Purdy is board certified in Ob/Gyn. He is an active member of the American College of Ob/Gyn since November 1977 (ACOG).